Read GAMA's 2018 year-end global report, which showed that for the first time since 2013, all segments were up in deliveries. Watch the GAMA 2019 State of the Industry press conference to hear the 2018 year-end global aircraft shipment and billing numbers, and watch a panel discussion among general and business aviation leaders about important industry issues. Aircraft owners need to make informed decisions about how to comply with emerging and existing regulatory mandates. Read more about worldwide modernization activities by clicking above. Think you don't have the right background to work in the general aviation industry? Think again. There is a job for everyone! Click above to watch and learn more. In the U.S., General Aviation flies over 24 million hours, of which two-thirds are for business purposes. General Aviation supports $219 billion in total economic output and 1.1 million total jobs in the United States. 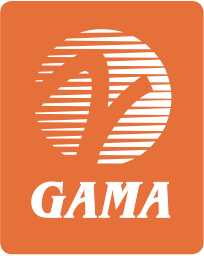 GAMA has members throughout the world, including in the United States, Australia, Brazil, Canada, China, Europe, and the Middle East.